Many different definitions of ritual may be formulated. Let us understand "ritual" as a special event in time and space, organized in terms of a shared sequence of symbolical, formal acts and utterances, serving the goals, values and expectations of an individual, a group, a society, a cultural form, or a world order, whatever these aims may be. In this sensu lato, the "obsessive rituals" of the compulsive neurotic are included. In the specific, much narrower case of religious rituals, these privileged deeds & words may involve : induction, consecration, initiation, passage, commemoration, celebration, invocation, evocation, etc. They always set aside a totaliter aliter, and are intended to link the part with this larger whole. The latter is given a mental architecture thanks to a set of symbols of transcendence and/or immanence. These may be theist or atheist, monotheist or henotheist, as in Amenism. In magical rituals, the intention is to pacify, to grow, to shield or to destroy : protection, defence, lawful combat, execration, healing, the restoration of a state of affairs, the reversal of misfortune (caused by negative energies), healing, natural evolution etc. are specific examples. Magic aims at the Earth, religion at the sky. Magic is never without religion, but religion may reject magic. In many ways, magic is what makes religion possible. In all Egyptian religious rituals, magic is a functional element, ascribed to specific priestly functions and magical instruments (cf. the "Ur Hekau", a name for both a priest and a magical weapon to circulate the Sa). Basically, through enactment, religious ritual realizes intention by making use of the (visible or invisible) natural order (elements & forces), be it to celebrate the Divine (as in offerings, commemoration, thanksgiving, etc.) or in terms of a particular request (votive ritual). Simply put : the ritualist acts and the intention happens. Clearly, ritual and magic interconnect, although the magician is not necessarily a priest, and so may bind "lower" forces (such as elemental spirits or Earth-bound demons) to his trained & focused will to achieve his personal goals. The priest can put magical forces in action, but never without asking guidance from the Divine (cf. the oracle) and considering their effect in the great plan of things. The priest(ess) serves his (her) God. The magician serves his intention. Ritual is a complex language composed of speech-acts & meaningful activities, bringing it close to performance, dramatic techniques, the standards of literary critique and various artistic traditions. However, contrary to theatre, an audience and an applause are absent. "At least, it is true to say that the bulk of the surviving inscriptional evidence represents ritual and ceremonial activities performed by the king." - Wilkinson, 1994, p.149. Nobody doubts Egyptian religion was highly ritualistic, involving daily ceremonial activities (complex rituals celebrating the Divine) and regular, popular festivals, or public celebrations, with a pre-determined periodicity (daily, quaterly, monthly, yearly, etc.) cast in a religious calendar, based on stellar (stars), astral (planets), seasonal (Sun and Sothic cycle), monthly (the 4 quaters of the Moon) and daily phenomena (decans and Earth-rotation). Rituals synchronized with a series of natural events interwoven in complex mythologies. But foremost, a theology of State defined Egypt's way of worship. Pharaoh was the only high priest of Egypt, the sole representative of the gods and goddesses on Earth. Of course, royal festivals were also a way to strengthen the prestige of Pharaoh, and the whole of society participated. Pharaoh's core ritual was the offering of Maat to his father Re. Maat had no sanctuary of her own, but was worshipped in all Egyptian temples (there is a small ruined temple to Maat in the southern sector of the precinct of Montu at Karnak). By maintaining the redistributive (pyramidal) order of life, Pharaoh, as son of Ra, returned what had been received, completing the circle and assisting Re in his eternal cycle (cf. the royal "cartouche", the circumambulation of the "Sed" court, the ambulatory around the naos in the temples, etc). Only Pharaoh could open the bolts of heaven (on the two wooden doors of the central shrine) and "see" the deity "face to face". This mystical experience (cf. the testimony of Akhenaten) was ineffable, but conferred a higher understanding to the King, enabling him to unite the "Two Lands". Indeed, he alone was a divine spirit incarnate. Diurnal rituals : the rehearsal of life : These rituals only happened in the temples. The hymns to the hours found in the books of the day, but also the record of the liturgy, executed for thousands of years in the major temples of Egypt, evidence a constant celebration of life and order thanks to Pharaoh (or, in the post-Amarna period, Amen-Re, popular since the Middle Kingdom). These ceremonies were initiated by the "hour-priests" ("horologoi") on their watchtowers (the pylons), recording the nocturnal sky and projecting their archetypal ideas on the stars and the planets. Hours before the sun rose above the local horizon, the whole temple domain comes awoke to prepare for the most important of diurnal sacred service : the morning ritual (followed by midday and evening rituals). "This nocturnal jouney of the sun is the focus of all the Books of the Netherworld, and consistent with this, it also furnishes the ordering and creative principle for the spaces in the hereafter. This nocturnal regeneration of the sun demonstrates, by way of example, that powers of renewal are at work on the far side of death. At the same time, the journey occurs in the spaces of the human soul, in which a renewal from the depts become possible. That it is an odyssey of the soul is emphazised by the Egyptians through the indication that the sun god descends into the depths as a ba-soul (and thus is ram-headed, since ba is also the word for ram) ; herein lie significant antecedents of modern psychotherapy." - Hornung, 1999, p.27. The presence of crypts, the Osireion, divination (oracles), as well as the attested practice of allowing people to solicit the deities by sleeping within the temple enclosure, and having their dreams interpreted (cf. Late Period), point to the possibility of priestly temple rituals dealing with a preparation for the afterlife as well as initiations preceding or perfecting one's priesthood, in which the renewal offered by these dark, nightly depths is sought. Osiris was the proto-type of renewal and fertility, because he was rejuvenated by the wellness of the Eye of Horus, offered to him by his son Horus, allowing him to escape a second death and finally spiritualize as the spirit of eternal life itself. Monthly observances : we know of a series of observances linked with the cycle of the Moon, in particular the New Moon, the beginning of the cycle, the First Quater, the Full Moon (or "Filling of the Eye") and Third Quater or 20-day observance. These cycles were dedicated to the Mystery of the Moon-god Osiris. Festivals and processions : The festivals were ceremonies (a network of rituals) returning very year and intended to keep the order (maat) of creation active on Earth. Hence, in principle, they were royal rituals in which Pharaoh invoked the deities and (re)established his divine rule, affirming his authority and drawing to him all the resources of the "Two Lands". These Egyptian festivals had extreme dramatic intensity and could be called gigantic ritualistic performances, wherein gods, goddesses, Pharoah, the priests, musicians, dancers, etc. (re)enacted the myths, with massive offerings ... In some rituals, the common people could also join, and after all the food had been put "in front of" the deities (for them to consume the Kas), it was redistributed. It seems unlikely for a processional & ritual construction as the Osireon not to have been used for a netherworldy Osirian mystery drama. As no other evidence of the sort of papyrus Leiden 32 T has (yet) been found, no final conclusions are at hand. But even if these Egyptian initiation rituals were historical, they differed from Greek mysteries and should neither be confused with Hermetic and other cross-cultural syncretisms (like the cult of Serapis). In these, native Egyptian thought was Hellenized and modified to satisfy the Greek "noetic" mentalities (just as the Torah was Hellenized). Under the Ptolemies, the original, native context had been lost for over eight centuries (namely at the beginning of the Third Intermediate Period, ca. 1075 BCE), although the cultural pattern and its sacral core continued to remain operation long after Pharaonic Egypt -in Greek guise- had finally come to an end with the suicide of Queen Cleopatra VII (30 BCE). Dramatic directions are sparse, but the fact they exist proves the importance of this-life ritual in Ancient Egyptian religion. Many representations are ritual high points frozen in space : foundation rituals, libation, censing, opening the mouth, food offerings, offering of Maat, execration, worship of the deity, to name the most common. 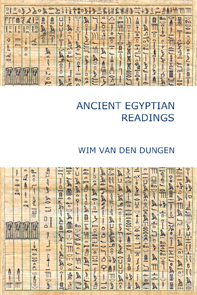 The vast literature of Egypt provides us with a variety of ceremonial gestures (adoration, respect, repose, devotion, supplication, rejoicing, triumph, healing, mourning, smiting, harpooning), priestly functions (overseer, reciter, magician, libationer, seer, overseer of the tomb, oracle, physician, guardian, chanter, keeper of offerings, etc.) and magical instruments (hedj, was, djam, seb-ur, ur-hekau, sekhem, ritual crowns etc.). The Egyptian deposit is a vast storehouse of images, magical practices, spiritual intentions and wisdom teachings. It constitutes a broad cultural pattern (stretching over three millenia), which has been a source of wisdom and inspiration for all Mediterranean spiritual traditions, in particular Judaism and Christianity (Islam was influenced via Hermetism). Despite contemporary egyptology, a precise historical reconstruction of Ancient Egyptian rituals is impossible. The dramatic line is lost. Even an educated reconstruction would contain many "blanks", crippling the dynamics of the ritual. Such information would only convey the basic ritual matrix of speech-acts and gestures, nothing more. Moreover, because of Egypt's multiplicity of approaches, no "standard" line is to be sought, for every temple made adaptations serving its tutelary deity. Hence, a reconstruction of Egyptian ritual "as such" is unthinkable, for although there are overall patterns, there is no "theoretical" model. We may reconstruct Heliopolitan or Osirian ritual, but never Egyptian ritualism as a whole. the Hellenistic reconstruction : Ancient Egyptian religion, after having influenced the Greeks, was eventually Hellenized. The cults of Osiris and Isis, as well as Hermetism, evidence the survival of Hellenized forms of the native Egyptian ways. But the Greeks intermixed their somber views of the hereafter with the extended Egyptian funerary rituals. Their extatic, "away from the body" mystery traditions was escapist. 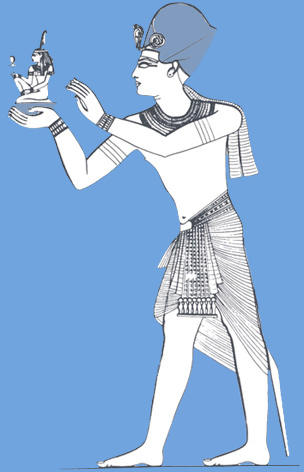 The role of Anubis as "guide of the dead" and initiator and Osiris as "king of the dead" was reinterpreted in terms of the Greek religious attitude. The Egyptian mysteries were seen as leading to another, better plane of existence, away from the limitations and boundaries of the material plane (cf. Plato's analysis of the realm of becoming and the body as a "prison" or "tomb" in Plotinos' Enneads IV 8,3). The Greeks longed for a contemplative life, devoid of material duties and suffering. Theory was more appreciated than practice. Hence, material life on Earth, feding the passions, had to be bridled and finally transcended. In this perspective, death heralded the final disconnection with the body, a state the Egyptians tried to avoid at all costs. Their religious attitude was un-Greek and in no way theoretical or abstract. In Egyptian religion, material life was spiritualized to make it eternal. Death was rebirth in the afterlife. Indeed, the Egyptian view on their mysteries and secrets was Oriental. The Egyptians loved life and saw death as the gate to an even more richer life. After purification in the Duat, the final transformation of the soul takes place, initiating the spirit-state. The rituals guaranteed a two-way communication between the spirit-world and the material plane : the false door in the tomb is a way to leave the tomb but also a way to return to it. In the spiritual economy of the funerary temples of the Old Kingdom, this return of the spirit to the tomb was crucial. Thanks to the funerary magic of the tomb, the deceased could make his family benefit from his (or her) invisible powers and liberty of movement, free of shadow and extremely fast. In this way, magic could be accumulated and passed on to future generations ... In contemporary African tradition, the spirits are described in comparable terms. In the Graeco-Roman mind, nobody returned to Earth, the escape was final. Death brought rupture and disconnection. When, for literary reasons or to close a play with a "deus ex machina", a spectre of the dead or a deity appeared, then surely only vaguely and mostly to announce something bad or worse. This stern and lifeless vision of death (which befell all except the deities) is already at work in Homer, who's poetry suggests Mycenæan roots (cf. the Mycenæan Age, ca. 1600 - 1100 BCE). 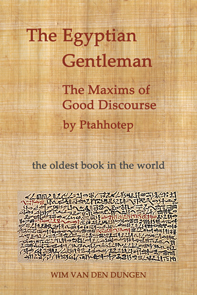 The "morbid" interpretation of the Egyptian tradition is therefore largely Hellenocentric. the Scriptoral reconstruction : the so-called "religions of the book" (Judaism, Christianity & Islam), introduced their own narrow angle : Egypt as the home of taskmasters, idols & polytheists. In their "revealed" scriptures, these religions condemned Egyptian religion, although none of their protagonists were able to read Egyptian (Moses is not of history but of memory). When Egypt turned Christian, the old religious structures were destroyed and most Egyptian deities transformed into demons (cf. "Amun" in Medieval Goetia and Solomonic magic). The cult of Isis became the worship of Mary, and the resurrection of Osiris was transformed into the spirituality of the cosmic Christ, represented on Earth by the Pope (the Christian Pharaoh). The old trinitarian concepts of Deity developed in Egypt, became the "Holy Trinity" ... It is remarkable to see how the canonized versions of these so-called "revealed" scriptures were written decades after their founders had died (Moses, Jesus and Mohammed wrote nothing). Moreover, although these traditions rejected the Egyptian view of the world, they nevertheless continued to cherish Egypt as the home of perennial wisdom, science, magic and mysteries, albeit allegorical and Pagan. the Renaissancist reconstruction : when the Renaissance started in Italy, and the work of the Arab translators began to influence intellectual life in Europe, the allegorical interpretation of hieroglyphs (initiated by the Egyptian priests of the Late Hellenistic Period), brought a fictional approach of the Egyptian heritage on stage. This would continue to do its job despite Champollion cracking the code (in 1824) and showing the hieroglyphs were not primarily allegorical but phonetical. Between the XIIIth century (the end of the influential Templar movement with its "magical" tenets, the invention of the new Jewish qabalah by Moses ben de Leon - cf. the Sepher Zohar and the influential Solomonic magic) and the XVIIth century (the start of Hermeticism and the Rosicrucian movements) the allegorical interpretation of Ancient Egypt initiated egyptomania, a fictional approach of things Egyptian, devoid of any appreciation of the basic ritual matrix (cf. the historical reconstruction). These views became independent of their origins and influenced Western Occultism, Theosophy and, in the last decades, the LA-based New Age Movement. Egyptomania has a very narrow historical basis and introduces gigantic phantasies involving Atlantis and a stellar religion dated thousands of years before recorded history. To produce their formidable hotch-potch, they add qabalah and Christian Gnosticism to the mixture. Even today, these dubious claims are reiterated (Seleem, 2004, p.10 gives 50.509 BCE for the so-called emigration of the "priesthood of Atlantis" to Egypt !). Both the Hellenistic, Scriptoral and Renaissancist reconstructions are flawed and rejected. The work of appreciating Ancient Egypt has to be redone from scratch, which is precisely what egyptologists and other scientists have been doing for the last two centuries (with an increasing amount of technical data becoming available in the last four decades). These flawed approaches are rejected in favor of a historical reconstruction. 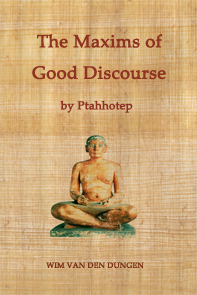 This offers, for the first time since the demise of Egyptian culture, interesting valid historical information concerning the Egyptian ways, based on the direct translation of the vast corpus of Ancient Egyptian literature and a contemporary perspective on the symbolical features of its art (Wilkinson, 1992 & 1994). "In esoteric circles, people are too dependent on the old, outdated works of Budge and ought to take into account more recent literature, which has much to offer of esoteric interest." - Hornung, 2001, p.2. techno-scientific : the application of alternative scientific methods to prospect sites, individual pieces and papyri, including physical, chemical and biological techniques. The so-called "Kemetic reconstruction" (after "kmt", the "back" fertile silt left behind by the receding Nile), if in accord with the basic ritual matrix (unknown to Renaissancist Hermeticism and its following), can be more than just (another) literary fiction. This thematic reconstruction "fills in the blanks" of the basic ritual matrix in such a way as to be faithful to what is known of native Egyptian history. It outlines an itinerary of physical, emotional, mental, soul-like and spirit-like growth and well-being based on Ancient Egyptian teachings and practices. Because these blanks are eliminated in harmony with the historical reconstruction, the spiritual device or psychological mechanism is liberated from Hellenistic, Scriptoral, Renaissancist and egyptomanic ballast. This "purist" approach is necessary. But is it truly possible ? Can the many unknowns be genuinely defined ? ► Kemetism : towards a genuine Egyptian esotericism ? In the sixth century CE, the last Egyptian temple (of Isis at Philae) was officially closed. Egypt had become Christian. The ability to read hieroglyphs was lost. Hermetism was recuperated by Christianity (Clement of Alexandria and the later Orientale Lumen) and Islam (cf. the Sabians of Harran). Because nobody could read the original texts, egyptomania, a literary fiction of Ancient Egypt, was inevitable. It was fed by the mythological, allegorical and symbolical interpretation of the signs themselves, suggestive of an ancient, secret knowledge of the most profound kind. Egyptomania had and still has a tremendous impact. It puts into perspective the universal appeal of the hieroglyphs, the "words of the gods", magic and Egyptian art. These are the archetypes of the Egyptian view. Kemetism, contemporary Egyptian esotericism, proposes a valid device, but cannot prove its historical claims. The historical matrix is too incomplete to provide us with enough information to eliminate all the unknowns present in the ritual equation.